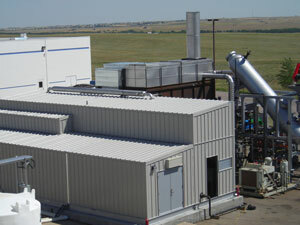 The initial demonstration plant was constructed and tested in Denver, Colorado for Red Lion Bio-Energy. 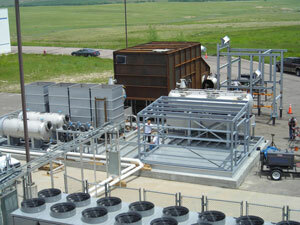 Wiley Consulting, LLC was the EPC (engineering, procurement and construction) contractor for Thermo Conversions, LLC. After producing commercial quality synthesis gas in Denver, Colorado, the plant was dismantled and moved to the University of Toledo in Toledo, Ohio.The plant was reassembled and produces syngas that is burned in a retro-fit coal stoker boiler producing steam for the University hospital.The plant is being used as a research facility producing high quality syngas for liquid fuel production using a variety of biomass feedstocks.